President Obama came into his own finally at his congressional address. The only take-away worth mentioning? The bare arms of Michelle Obama, sleeveless at a formal occasion that wasn't black tie or cocktail. How novel. Especially in winter. The cultural importance of this has only escalated since. Slice it, dice it, deconstruct it. She is showing her power, bearing arms in a subliminal physical way. She is not, now, barely there. Not anymore. She is now bare-y big there. Mom-of-the-Moment. If this is her winter way as she springs into position, what will happen as she warms to her position, flexes those (maternalistic as she sees her role) muscles, brandishing her arms to command our attention, sword-like in armament language, point us to her priorities. She, comfortable in her skin, seems to need no cover for her agenda. How nakedly refreshing? For a certain age? You know there aren't any, as far as mothering, but there are a few tricks. I picked this up while waiting in line at the bookstore. This Mom-O-Matic has a few programmed answers: Go ask Daddy and Oh! Look! a Pony! are just two. Not to say I'm a great mom worthy to pass on my tips, by any means, but there are two things for wee ones that worked great. 1) Always give a choice that gets you where you want to go. The idea of empowerment on your terms. For example, "which foot do you want the first shoe on -- the left, or the right" (works great with two year-olds). 2) Sing your way to team work. As in: This is the way we march to the bath, march to the bath, march to the bath... (works great with little kids, again). 3) Disrupt difficult moments with fabulous vocabulary words. It hooks kids most all the time. "Well, that is your prerogative." (prerogative is one of my childrens' favorite words). Everyone has their list of favorites. Those are just three of mine. What does that mean when I'm still......mom? P.S. update: Now there are Motrin Moms, quite a powerful bunch with new media. Household tips from my friend Carole. Who wore sunscreen back then? Summers were spent at pools, floating around on rafts, using baby oil to increase the tan. 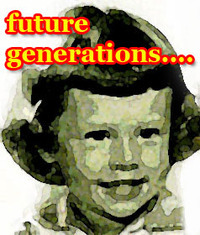 Carole King played on the radio and we weren't old enough yet to have jobs. We went barefoot and didn't worry about brain-eating amoebas in warm waters. I rode my ten-speed everywhere, even through rough areas to downtown. Now I worry that my family doesn't get enough Vitamin D.
Now we don't go anywhere without sunscreen. Summer was the sound of water, children playing at the pool, hot days when windows were left open and screen doors slammed. My youngest daughter has blisters on her feet from wearing high heels to her summer job which involves being on her feet all day. Mother's advice sometimes goes in one ear and out the other, you know? Or is it that we all learn lessons the hard way? New Skin, a liquid bandage, is the best thing since disposable diapers, at least in this mom's repertoire of items that are needed beyond mom's kisses to heal all wounds. I discovered this item after a trip to Italy that killed my feet and all preconceived ideas of shoe shopping I packed with me. By the time I discovered the product, my children were well into their teens. We all use this item now. 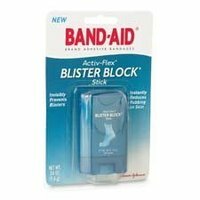 Now a second product is new on the market and I'm picking it up: Blister Block. Maybe my youngest daughter will need this to stay on her feet. Maybe your feet aren't prone to shoe abrasian injuries. Having blisters while experiencing wonderful trips put my feet on unhappy paths. It was shortly after getting blisters in Cortona, Florence and Rome that I discovered New Skin and decided to never travel again without a fabulous good pair of walking shoes. Now I'll be packing this new Band-Aid BlisterBlock, too. I keep spares around for visitors. You never know when I'll wear someone's feet out hiking here in Santa Fe! Thanks to Hattie's recommendation on my Shoes & Style post for Keen shoes, I have Keen hiking shoes on my feet right now, ready to go out on a lovely hike in the Sangre de Cristo's. Mom's bag of tricks for easing simple hurts. 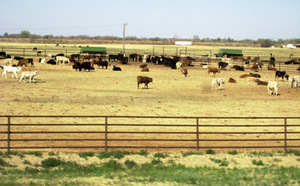 In Texas I passed this grassless small cattle feed lot on my spring road trip. Believe me, this was so much less stinky than the huge feedlots west of Amarillo where the cattle can hardly move as they are fattened for market. They are fed corn, a substance not natural to them, and most get antibiotics (70% of antibiotics are used on animals) because their health suffers in non-natural surroundings and under such stress. The U.S. livestock industry—a large and vital part of agriculture in this country—has been undergoing a drastic change over the past several decades. Huge CAFOs (confined animal feeding operations) have become the predominant method of raising livestock and every year taxpayers shell out between $7.1 billion and $8.2 billion to subsidize or clean up after our nation’s 9,900 confined animal feeding operations, according to a new report, and these factory operations spew odor and flies (and leak manure and smell to high heaven of ammonia), have reduced rural property values by an estimated astronomical total of $26 billion. (links and information for these CAFO stats and facts via the Ethicurian). Plus,the USDA’s current system of grading is set up so that the more fat marbling, the higher the grading — which shuts out grass-fed meat, writes the Ethicurian in another post. We try to get grass-fed meat from small local producers and it has less fat and is more healthy for you -- something I learned from the cattle ranchers bringing their meat to the local farmer's market and direct-to-consumer venues here in Santa Fe. We had cattle, hormone-free, antibiotic free, ranging on our non-fertilized ranch in Texas in the 1990s, before we sold the place and moved to Atlanta, but the meat couldn't be marketed other than to friends and family because it didn't pass through federal meat inspection and it was too small for middle-men to mess with. Mass production (better profits) is what gets most meat to market. I promise you our way was the healthiest way to eat meat. Those cows were happy cows and it was friend-to-friend meat marketing, outside of normal channels, that made this healthy meat available. The guy who ran the cattle for free on our land could hardly survive and he turned to all-natural because he felt his wife, dying of cancer, was worth his struggle as he believed agriculture with chemical spraying was the wrong way to go. We concurred and supported the process. The way we worked with this cattle producer is not how agribusiness is done these days. We can act to help change policy. Please go to Ethicurian's post and do more than try to chew the right thing and read more and click their links to be an activist in this area. It is important that we not sit back and let these unhealthy trends persist. Mothers, we can't sit back and worry just about our own. We must roll up our sleeves and work to make sure our children and their children and their children can have a world worth living in. How do we do this? We're going through a huge shift and we must act or we'll get upset. What can you, can we do? The future can be bleak but doing nothing is not the answer. Mothers know how to look to the welfare of others... we must rise.